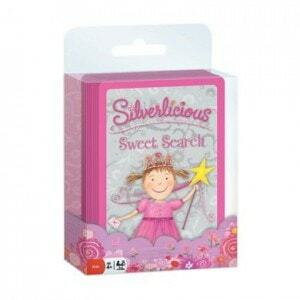 Silverlicious & Pinkalicious Games & Puzzles are just perfect for kids. 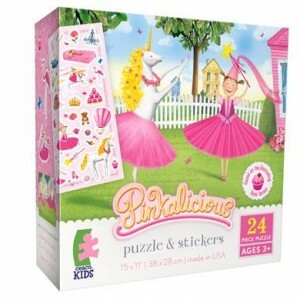 If you have a little girl, or even know somone that does, chances are fairly good that you have come across Pinkalicious. For a time, Natalie would read this book MULTIPLE times a day, EVERY day. Not exaggeration. She has since calmed down, but still reads all of the books in the series regularly and loves playing with all the merch that’s now based on them. So, you can imagine how please we were to be sent all of these goodies…she went nuts. It’s was “pinkeriffic.” She loves playing with them and I don’t see a letup in the foreseeable future! Take a look at all of these great products…you and your little one can get so much more from this great series now, and they are all very affordable to boot! 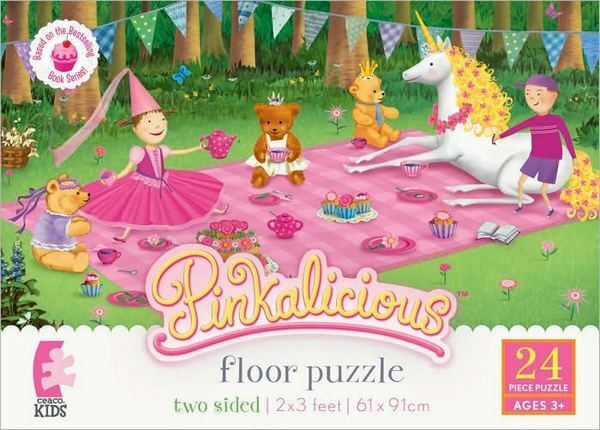 Do you have someone at home who is a fan of Pinkalicious games? Let me know in the comments below. I love this site! Awesome giveaways! I am entering the Pinkalicious/Silverelicious giveaway, this counts as an entry. I filled out the email form! I became a fan of LAB’s Facebook Page and entered the Pinkalicious/Silverlicious games and puzzles giveaway! 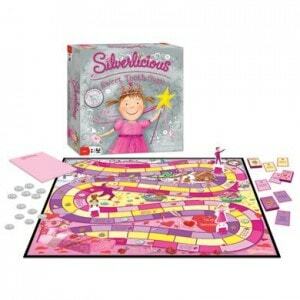 I had already liked Pinkalicious on Facebook and I entered the Pinkalicious/Silverlicious games and puzzles giveaway on ladyandtheblog.com. Three little Pinkalicious fans in our house!!! I became a fan of LAB’s Facebook Page and left a comment on the wall saying I entered the Pinkalicious/Silverlicious games and puzzles giveaway. I filled out the email form. I had already “Liked” Pinkalicious on Facebook; left a comment that I entered the Pinkalicious/Silverlicious games and puzzles giveaway on ladyandtheblog.com. Become a fan of LAB’s Facebook Page. I like you on FB!! I already Like the Pinkilicious FB page…a& posted on their wall! and I signed up for LAB’s newsletters!! I we won…my girls would think this prize is PINKtastic!! THanks for the great give-away!